Larry David is the co-creator of Seinfeld with Jerry Seinfeld and was its head writer and executive producer from 1989 to 1996. David and Seinfeld teamed up to create a pilot for NBC called ‘The Seinfeld Chronicles’ in 1989, a show that would become one of the most popular sitcoms ever produced. He is also the main inspiration for the show’s character George Costanza, played by Jason Alexander. Larry David made quite a few appearances on the show, lent his voice to several off-screen voices, and, of course, provided the voice of George Steinbrenner in later episodes. 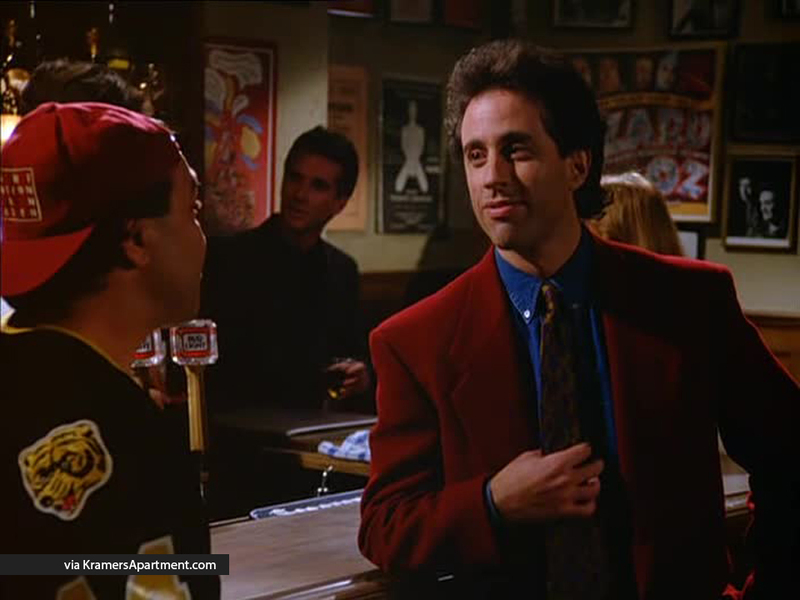 He left Seinfeld after the 7th season on good terms and returned two years later to write the series finale. We recapped all of Larry David’s appearances below (I bet there are some you weren’t aware of). Larry David provides the voice for all 13 appearances of George Steinbrenner, owner of the New York Yankees, over the course of the series. Larry David is one of the people at the dinner table when Elaine goes over and attempts to eat an egg roll off of their plate. 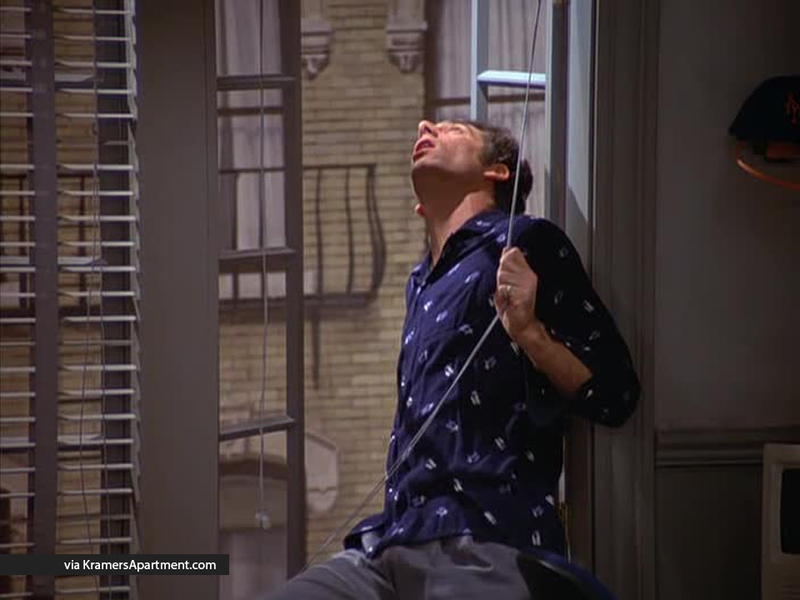 Larry David is heard as the voice of Newman, who doesn’t appear on the show until The Suicide while threatening to jump off of the building. 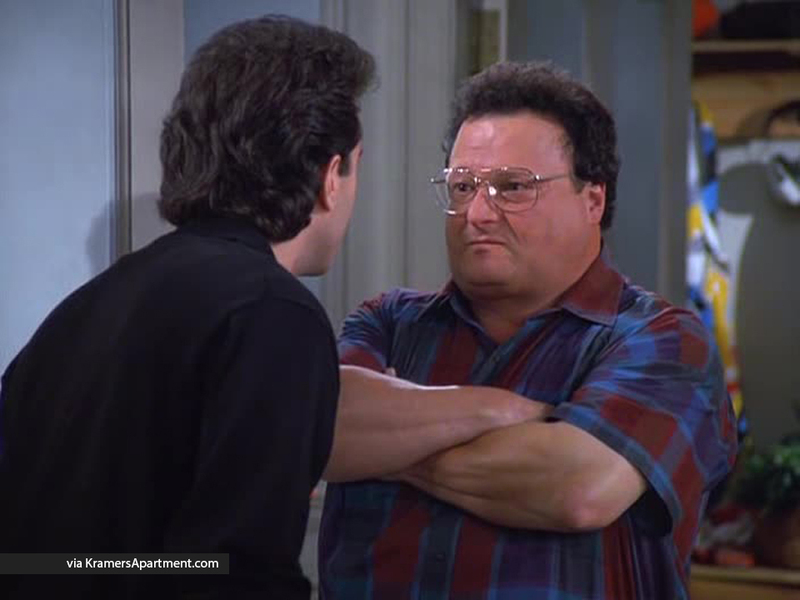 In syndication, they later dubbed in Wayne Knight‘s voice for the Newman lines that Larry David originally recorded. 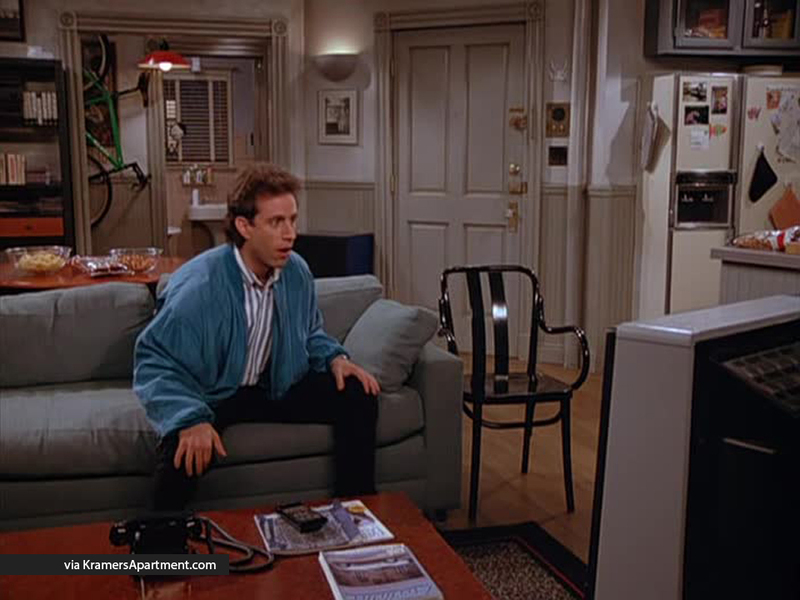 During the beginning of the episode Jerry is watching a movie, Flaming Globes of Zigmund, while half asleep and draws inspiration for a joke. 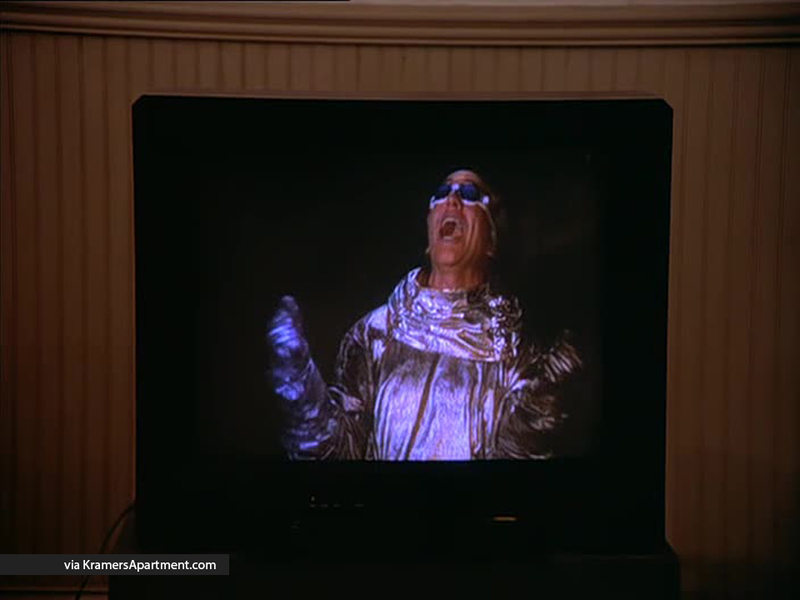 Larry David is seen and heard as the man yelling on the television screen. 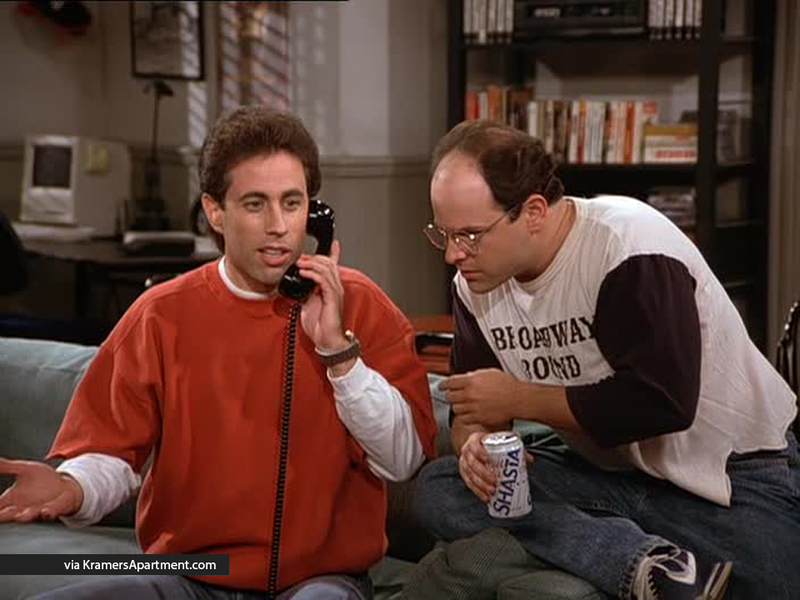 Jerry’s car is stolen so he decides to call his car phone and see if he can talk to the thief. 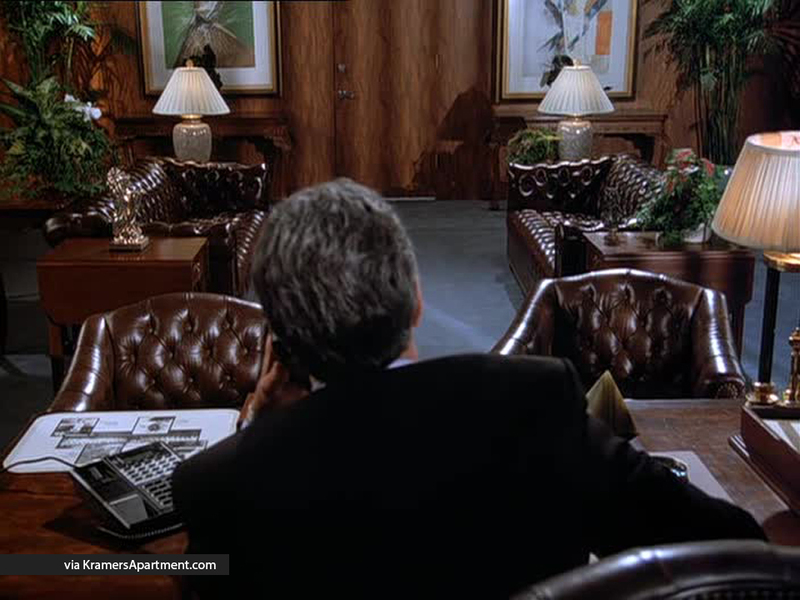 The voice of the thief is Larry David who also speaks to Kramer who requests that he sends him back the gloves that are in the glove compartment. Larry David is the voice of the fight referee for the boxing match that is on television. 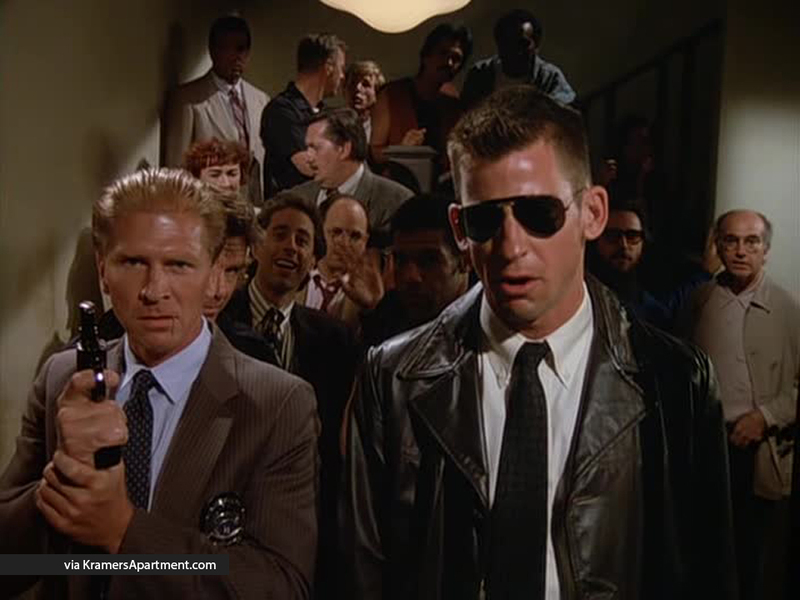 When the police come to Kramer’s door to arrest the Smog Strangler there’s a quick shot of a group of people, including Jerry and George, and Larry David is one of the people standing there. Larry David is the voice of Saddam Hussein, who runs into George and Kramer while they wait for him to move his car. He double parked in front of the liquor store and they had been waiting for hours. 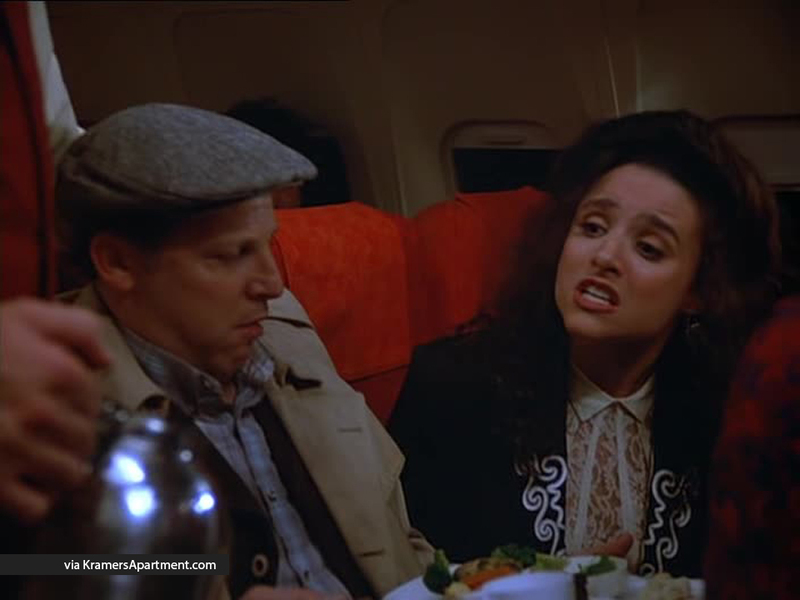 Larry David is heard as a passenger on Jerry and Elaine flight. He indicates that he was supposed to get the Kosher meal that Elaine wound up with, but forgot that he had ordered it. Larry David’s voice is in the movie, ‘Chunnel’, that Elaine, Susan, and Jerry go to see. 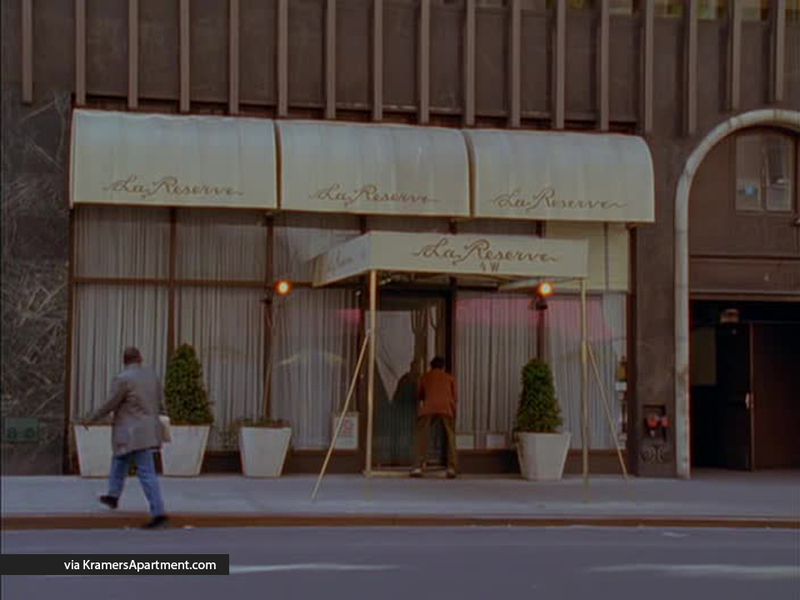 Larry David is the voice of a shop owner telling Kramer that he can’t use the bathroom. 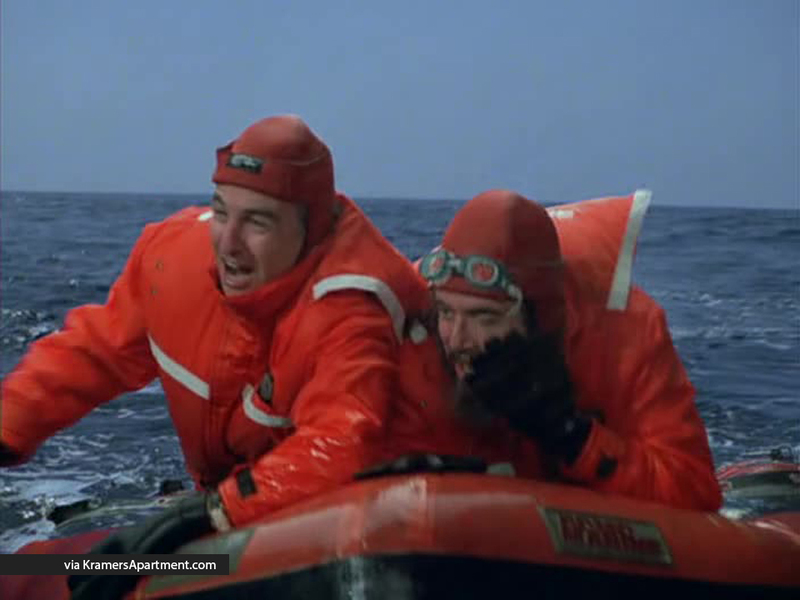 Larry David is seen as a man on a Greenpeace raft at the end of the episode. He calls out to Russell Dalrymple when he perishes at sea, promising to write to the love of his live, Elaine. 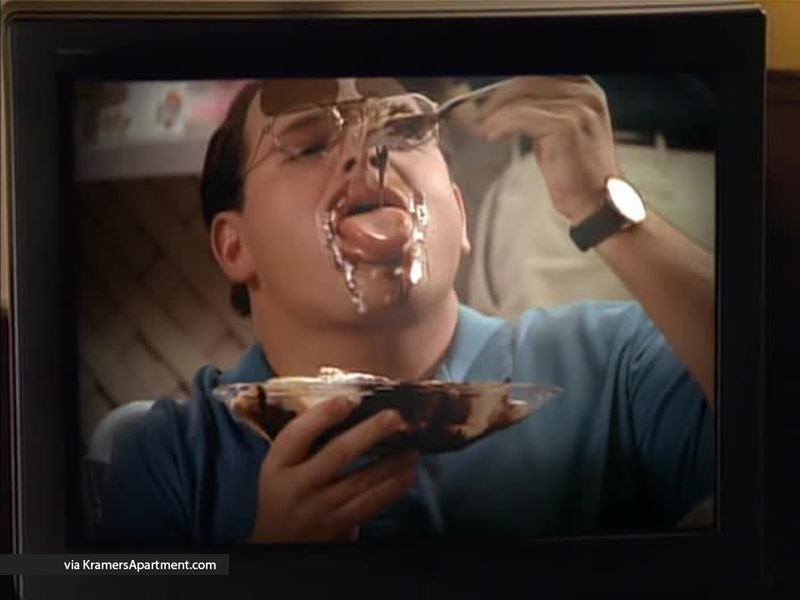 Larry David is the announcer of a tennis match, who makes fun of George as he messily eats an ice cream sundae. Larry is the radio operator of the limo service saying. 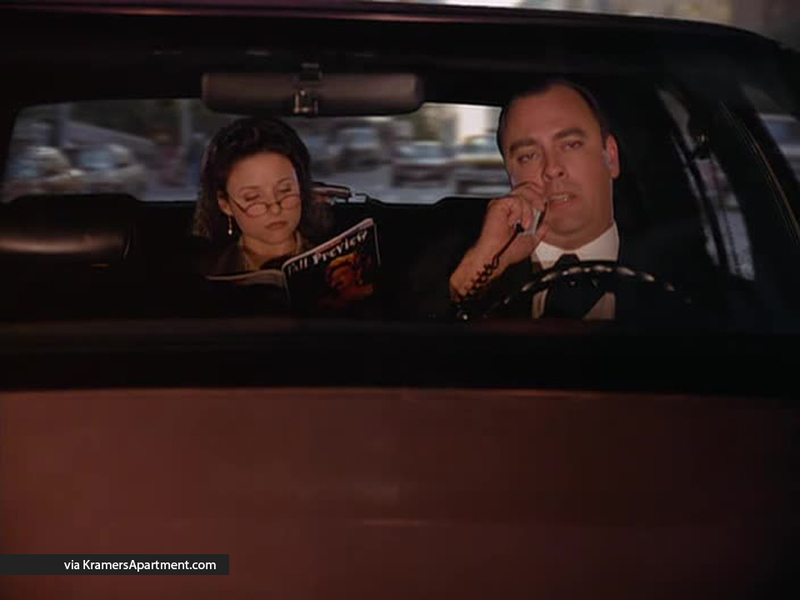 He informs Elaine’s driver that his next pick up is Tom Hanks, and she gets excited, forgetting that she was pretending to be hard of hearing. 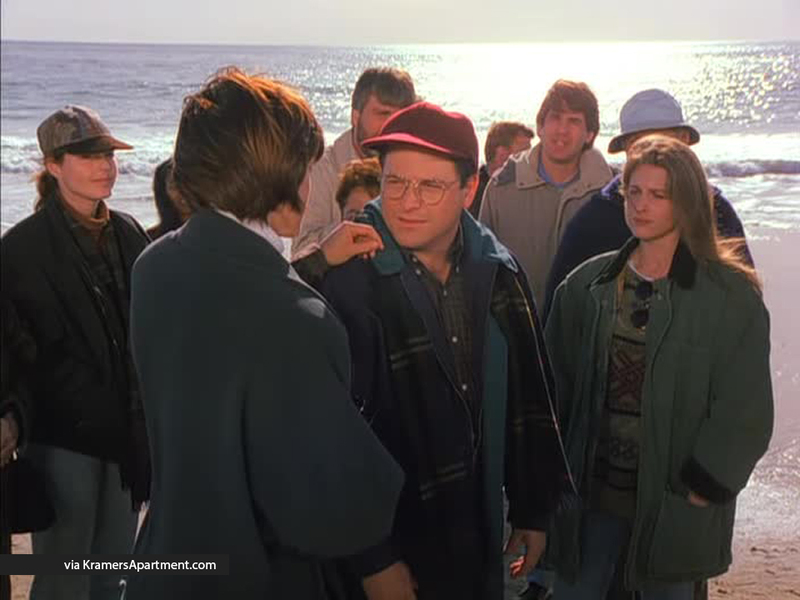 While George is walking on the beach with his date Diane, Larry David is heard as a man on the beach who asks if anyone is a marine biologist. Larry David is heard as the director of All of My Children, the soap opera that Kramer and Mickey are hired as stand ins for. Larry David is seen as a surgeon’s assistant during the surgery where Jerry and Kramer accidentally drop a Junior Mint into the patient. Larry David is heard as the emcee of the comedy club who introduces Jerry before his set. 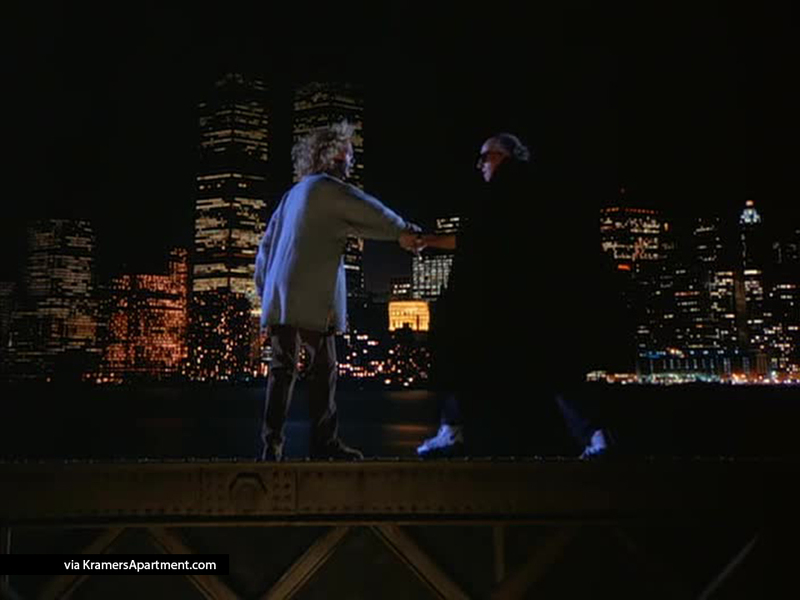 Larry David is seen with Frank Costanza’ as a cape-wearing lawyer. He later talks Elaine’s friend Noreen out of jumping off a bridge. 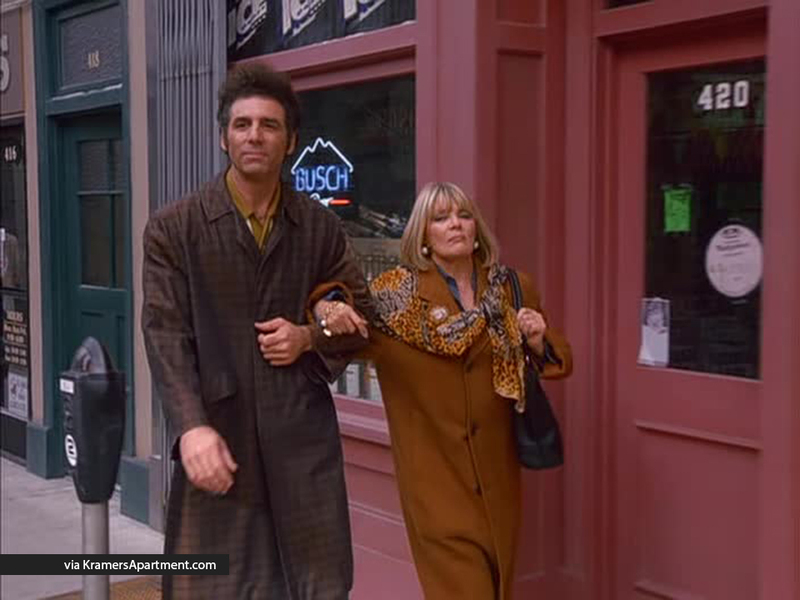 Larry David is heard while Kramer and his mother, Babs, are walking down the street to the coffee shop. Larry David is the voice of the cop who is taking the picture of Kramer for his mugshot. 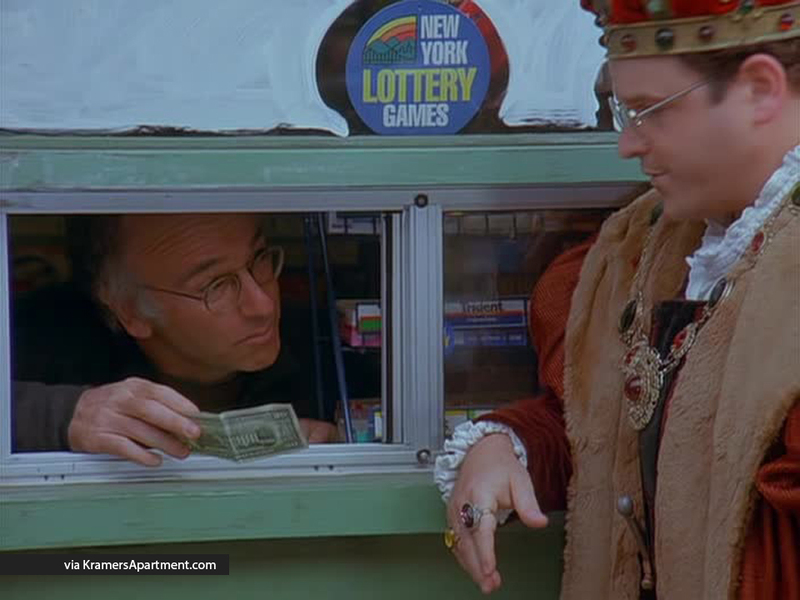 Larry David is seen as a vendor at a sidewalk window when George tries to buy a pack of gum. He won’t accept George’s money since it had been drawn on. 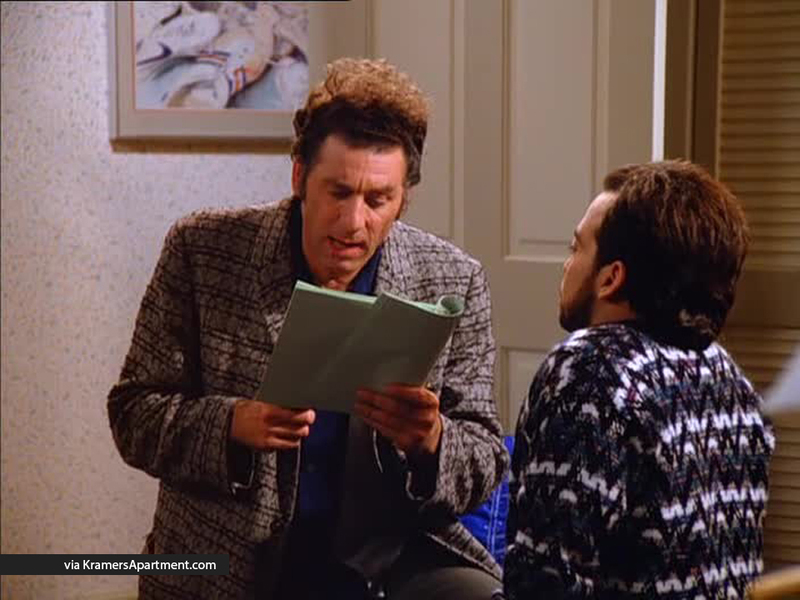 While not technically an appearance, Larry David’s name is mentioned in the Boca Breeze, which is showcasing Kramer’s rise and fall during his campaign to become condo president of Del Boca Vista phase III. 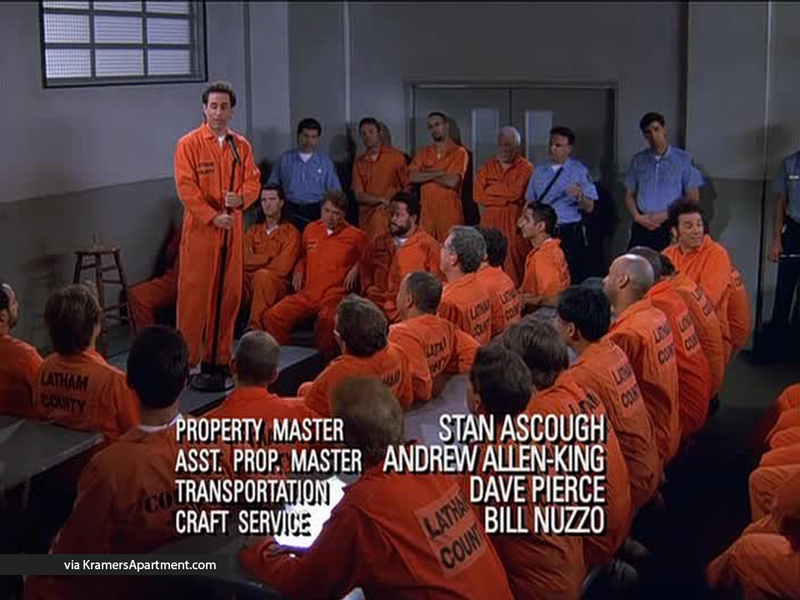 Larry David is the voice of an inmate who was in prison for “grand theft auto” who heckles Jerry and threatens him during his final stand-up routine.